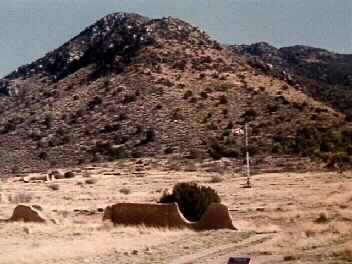 This is a panoramic view of old Fort Bowie, in Cochise County, about 100 miles south of Globe. This is truly a magnificent site. It has an incredible history and is very well maintained by our Park Service. Fort Bowie was established in 1862 near the earlier Butterfield Apache Pass Stage Station. It was at Fort Bowie that the great Apache chief Cochise had most of his scrapes with the U.S. Army. It was also here that Geronimo was placed on the train to Florida--never to return to Arizona. Fort Bowie is WELL worth anyone's time to visit. You will NOT be disappointed!